Not too many days left of the year 2014. From GameBook’s point of view, it’s been a year of great stories. We chose the very best of them. We have an astonishing number of magnificent, active and loyal users around the world, but the man of more than 1000 rounds scored with Golf GameBook app, is an easy choice for GameBook user of the year 2014. At the beginning of the year, we didn’t know if Robert “Robban” Andersson existed or not. By the end of the year, we had played a round with him and ran a Beat Robban contest in Sweden. Robban’s record for most rounds is almost unbeatable, and almost every day he escapes even further from other GameBook users. 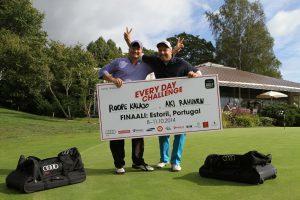 Robban’s yearly record is 318 rounds in a calendar year. But he’s about to break his record on any given day around Christmas. 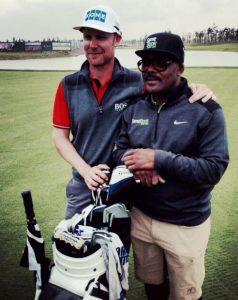 What a pair of ambassadors we have in Mikko Ilonen and Reggie Mokhosi trotting the globe with their GameBook gear on. Their player-caddie relationship is one of the longest on European Tour and they just had the most successful year of their career with superb wins at the Irish Open and Volvo World Match Play Championship. While Ilonen is guaranteed to play the most of the major championships and WGC tournaments in 2015, the next season could be even bigger. With an average of four hours per round, 300 000 rounds of golf mean 1,2 million hours – which equals to 50 000 days or 137 years. That’s how much golf was played within the contest period of Every Day Challenge, the biggest contest of GameBook’s history, played in Finland this year. Over 300 000 rounds took part and almost 300 daily winners were drawn in one of the biggest competitions ever played in Finland. We’ve had some great stories to tell this year, but the story of Roope Kalajo and Aki Rahunen might be our favorite. They got their ticket to the semifinal of Every Day Challenge through a quick Facebook contest after a last minute cancellation from another pair. In the semifinal Roope was rock solid with his long game and Aki’s putter was red hot on the greens. Tied in the lead after 18 holes their names were drawn from the hat and they were declared the winners of the semifinal. The prize? A trip to the season finale in Portugal! Less than 24 hours earlier they didn’t even know that they would participate in the tournament. 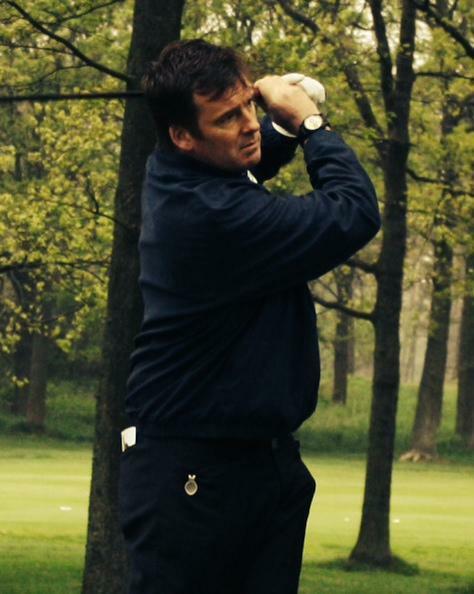 In his childhood, Simon Cordier from Scotland, used to be a caddie at Gleneagles. He carried the bag for some avid golfers like Tony Jacklin and Gary Player. This summer, he won the grand prize in our BMW Road to Gleneagles 2014 contest and was given a VIP experience at the Ryder Cup, played this September – at Gleneagles. “When Gleneagles was chosen as the venue, my personal connection made it a must do”, Mr. Cordier said. Our pleasure, Simon. We were very glad to help you out with this. 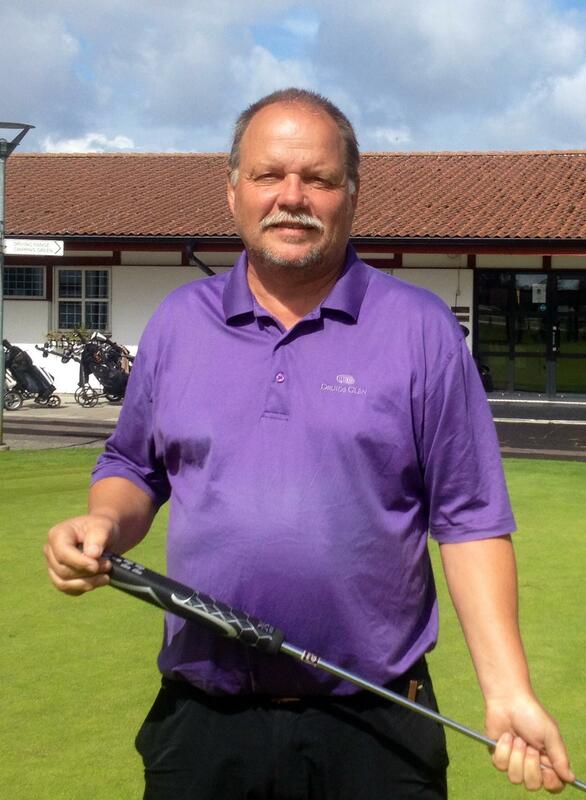 An official scorer for a marquee group at The Open Championship. How does that sound? Sam Bates and Tom Whitelaw were lucky enough to experience that at Royal Liverpool Golf Club this summer. They were drawn as the winners of the two grand prizes in our highly successful contest presented by MasterCard. “This is the only way I’m going to watch golf from now on. I’m always going to want to be inside the ropes”, Tom said after the experience. 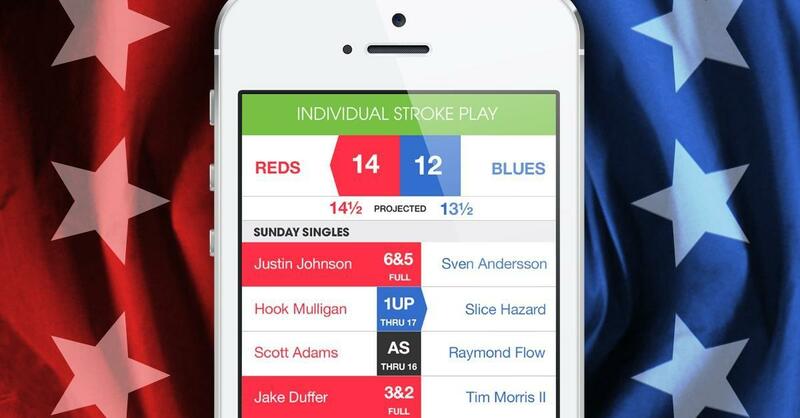 Our latest game format, Reds vs Blues for team matchplay, got virtual standing ovations from GameBook users. We launched five other matchplay formats earlier this year and Reds vs Blues took playing matchplay to another level. A very high number of “Ryder Cups” and other great team matchplay events was played all over the world during the season. 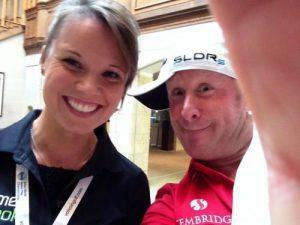 And you still remember the Ryder Cup, don’t you? Well, just ask pros what is their favorite game format. We are very proud of our multi-round feature published in the beginning of the year and the spring skin our application was dressed in last April. But the feature we were probably most excited about this year was the hole statistics showing your performance on every hole you play. 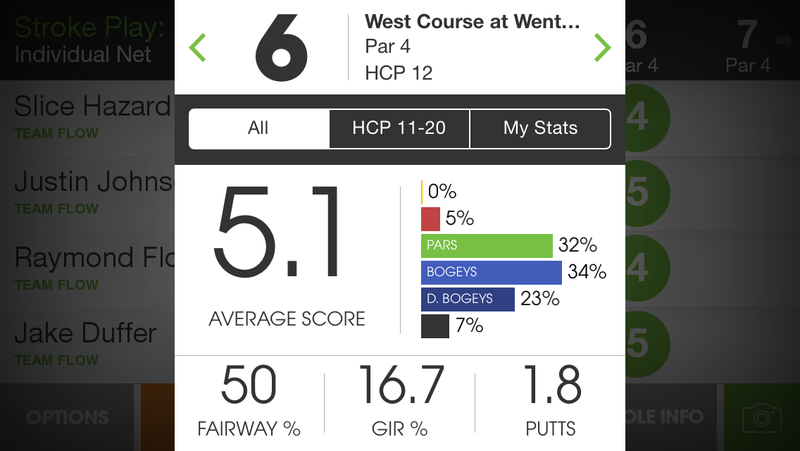 Now you can easily see, how the hole has treated you and compare your score against all other GameBook users or benchmark your performance against players with similar ability. “Golf is losing it’s customers to other sports” they say. Yes, partly true, but we want to turn it the other way round: golf, as a sport where ball or another object is moved from one place to another in natural surroundings, has some great potential to transform into many kinds of games and activities. One of the best examples of this is the rapidly growing sport of footgolf, where a standard football is kicked into a 20-inch hole, often on a golf course. Footgolf allows an easy access to the world of golf and is fun as anything. And GameBook app can be used for scoring, as easily as in the game played with the smaller ball. 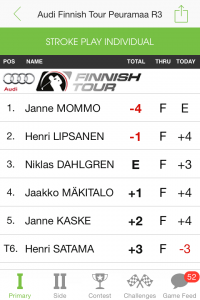 This year, Finnish Tour, which is a part of the Nordic League, a satellite tour to the European Tour, became the first professional golf tour to use mobile live scoring system in it’s tournaments. 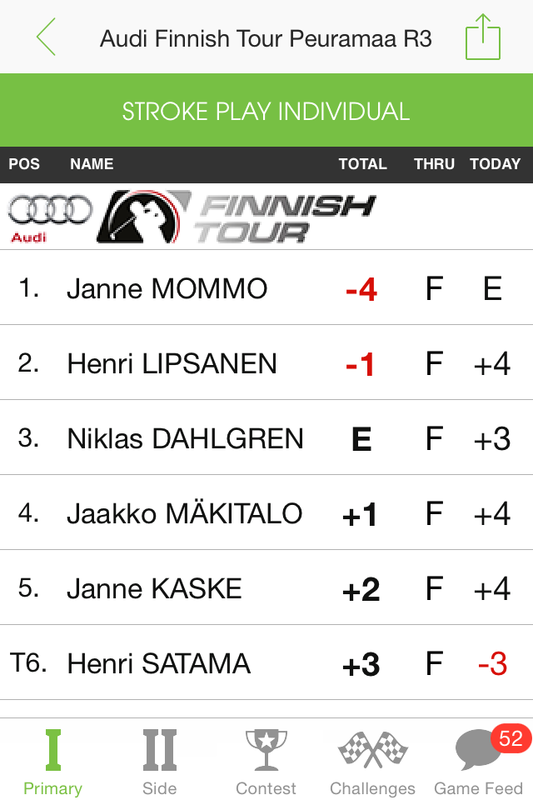 Players entered their scores by themselves with Golf GameBook app and enjoyed real-time mobile leaderboards experienced most probably never before on any other pro tour. The word spread fast around the world and many other pro tours are now interested in implementing GameBook live scoring system too. Once again, take a look at these game feeds, and you have no difficulties to understand, why we have chosen Welsh Ryder Cup hero Jamie Donaldson as the photographer of the year. Some hilarious stuff inside.